HERNANDEZ MARTI is a law firm specialising in the areas of intellectual property, advertising, unfair competition, and laws in the information society. 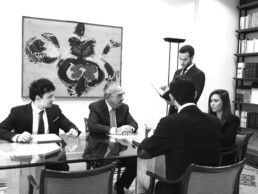 HERNANDEZ MARTI offers top-notch legal services as we boost a team of capable individuals who are fluent in a number of languages, including Spanish, English, and German, and highly-qualified to handle any legal cases both domestically and abroad. Furthermore, we also have an extensive network of collaborators which allows us to provide quality services in the countries of your choice. Hernandez Marti is a law firm specialising in the areas of intellectual property, advertising, unfair competition, and laws in the information society.